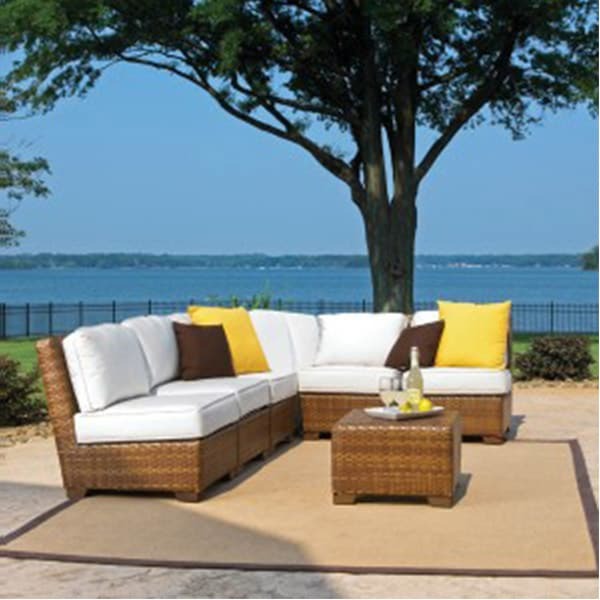 The 7-Piece Sectional incorporates an extruded aluminum frame with an exclusive thick woven wicker fiber. 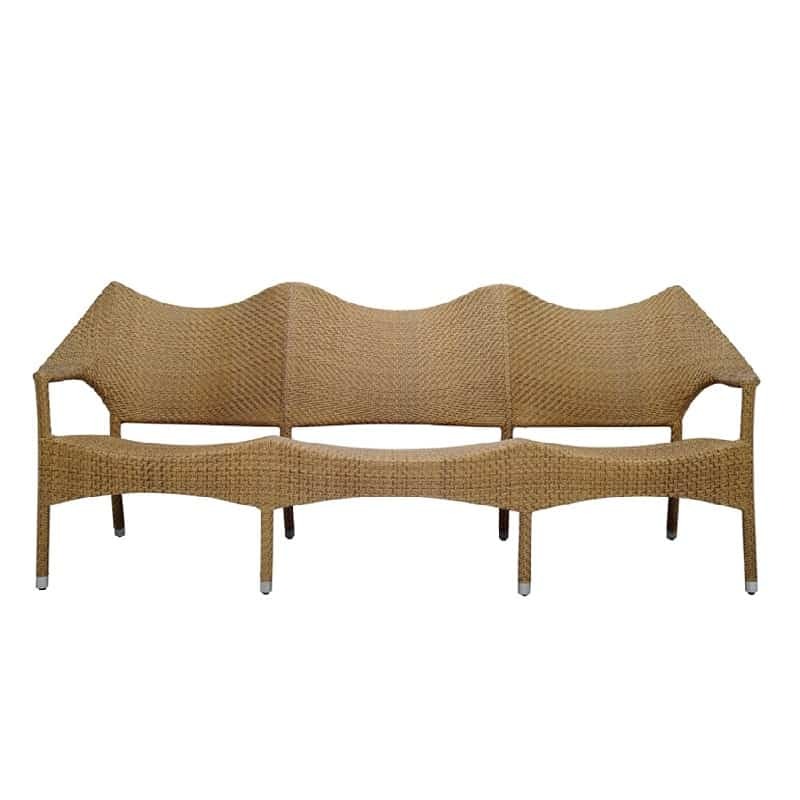 The Outdoor side chair, arm chair, and chaise lounges are all stackable for easy storage. The occasional tables, dining tables and pub tables, have a Plexiglas material underneath the woven surface eliminating the need of a glass top. The armless chair, Corner chairs, coffee table, and ottoman allow for a variety of set ups from modular sectional to sofa or loveseat. The coffee table includes an umbrella hole. The end table is set to tuck underneath the armless chair and will hold drinks, books, or even electronics. 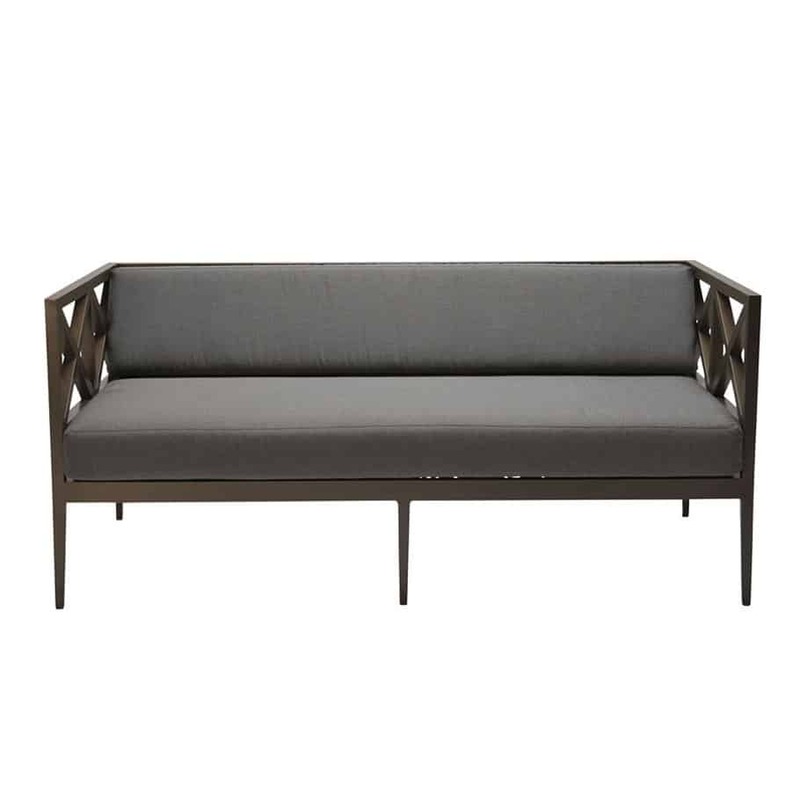 Cushions come as shown but for an upcharge a premium Sunbrella fabric can be chosen for a unique custom look.